*this soup thickens on standing, if necessary, add extra stock. Heat oil in large saucepan over medium heat. Add leek and cook, stirring often, for 3-4 minutes until tender. Add mushrooms and cook, stirring often, for 3 minutes until softening. Stir in chestnuts and stock, cover and bring to the boil. 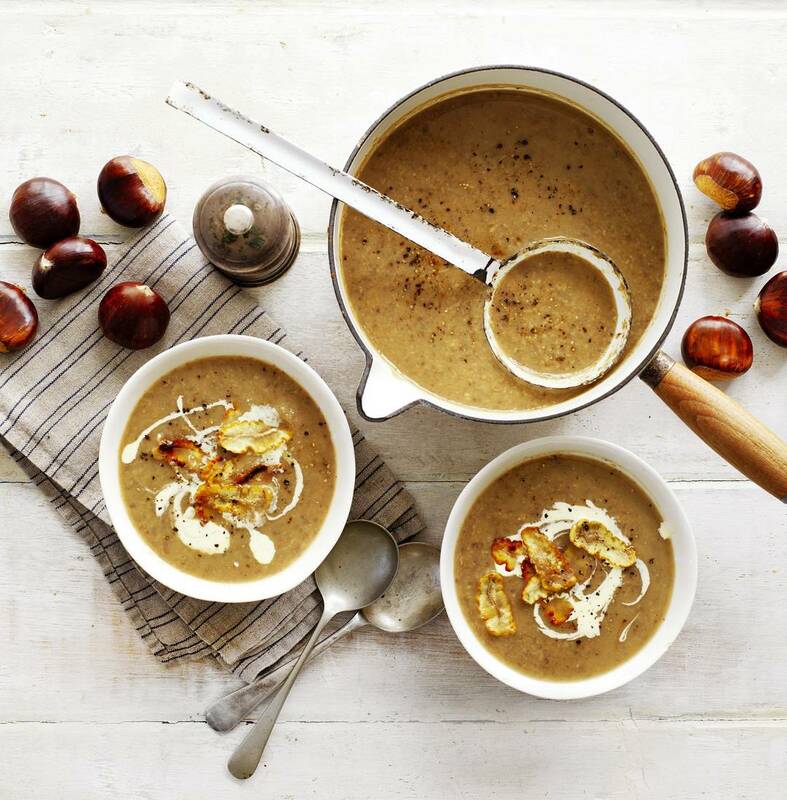 Reduce heat and gently simmer, uncovered, for 30-35 minutes or until chestnuts are soft. Remove from heat. Using a hand blender, blend soup until smooth. Simmer over low heat until hot. Season to taste. Ladle into serving bowls. Drizzle with cream or top with a dollop of yogurt and serve. Top with pan-fried sliced chestnuts for a crunchy garnish, if desired.